In 2008, Forrester Vice Presidents Carlene Li and Josh Bernoff published “Groundswell,” a revolutionary book about business and marketing in what was then the beginning of the mainstreaming of social media. Four years later, their thoughts have not only become predicative of the growing trend of social media but have become essential for understanding the greater context in marketing and public relations. The nutshell: For practically any product or service, there are thousands, if not millions, of Internet users who would love nothing more than to become unknowing brand ambassadors and help to spread the digital word. You just need to locate and then inspire them. Communities are a powerful way to engage with your customers and deliver value to them. They’re also effective at delivering marketing messages, as long as you listen, not just shout. In addition, online communities are effective ways to directly manage the brand and reputation of your company. Today, you no longer need to go through journalists and other middlemen. Because we are currently living in a time when anyone, through the Internet, can write and spread a message, there have become fewer and fewer hurdles to leap over in order to get your brand’s message out there. Through your virtual community, you will have the opportunity to influence the groundswell and consequently how those people will comment on your business’ products and services. Engaging your users in this way will drive your newly-created ambassadors to do your marketing for you. Based on the current brand recognition of your company, there are a variety of ways to approach community building. Here, we will give some general strategies to get you started. Focus on quality of passion, not quantity of users. In the age of Facebook and Twitter, too many companies make the mistake of overvaluing raw numbers. A thousand Facebook “likes” from people who will love to share and comment on your posts is better than ten thousand from those who will not. As a result, you want to identify the places online where the sentiment is overwhelmingly positive. The importance of word-of-mouth advertising is true, both online and offline, and it must be noted that believe more what their friends and family tell them about a business than what the business says about itself. Too many marketers talk only about their businesses and their products when they should be talking about their customers. The positive conversations that can occur in communities should not only focus on how the product or service will solve their problems but also how it will change their lives (or businesses) for the better. Once you know every detail about your audience, you can then go about framing discussions on relevant issues. One example: Maybe the majority of your users are busy working mothers who feel swamped and overwhelmed? One way to connect is to address how to save them time and reduce their levels of stress. In “Groundswell,” the authors provide a real-life example: Procter & Gamble’s successful creation of the online community “Being Girl” (see the picture above) to reach early-teenage girls who have just entered puberty but feel too embarrassed to discuss tampons with, well, anyone. On the website, girls discuss, amongst themselves and with experts, the topics of dating, teenage life, school, and related issues, in an anonymous, safe setting. Within the community, users are not only encouraged to return themselves but to bring their friends. Through the methods described in the book (see pages 118 to 123 for details and results), P&G’s results from Being Girl had become four times as effective as traditional advertising. 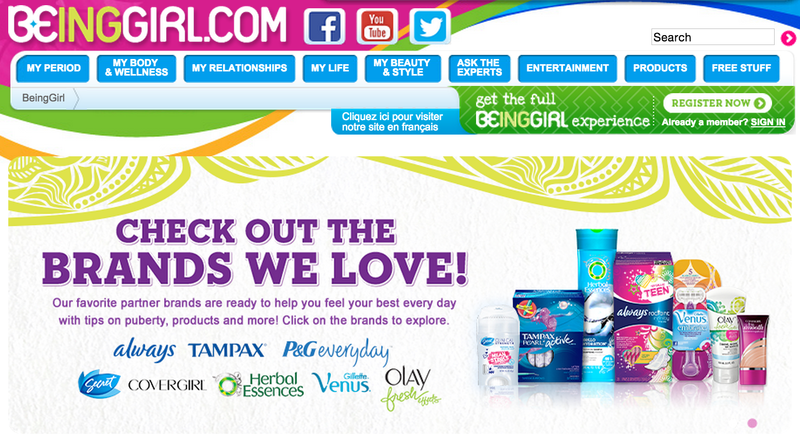 To break even, the site only needed to persuade 6,250 total girls to use Tampax since women tend to use the same tampon brand for life. The company’s site now receives two million visitors each month (as of the book’s publication). Procter & Gamble tapped into the groundswell and succeeded. In the first part of this series, we wanted to introduce the importance of building online communities, provide a few tips to get started, and show you one example of success. In the next part, we will offer further suggestions of how to manage and grow an ongoing community. But remember: The important thing to understand is that nearly all types of Internet marketing and public relations take time to work – P&G did not get to two million visitors per month immediately, but once the company had invested the time and effort, the strategy certainly paid off.